When I was diagnosed with a dairy allergy, the doctor handed me a packet that consisted of pages and pages of gibberish information. I use the word gibberish because to understand, you needed a dictionary on hand. However, after breaking down the information line by line, I was shocked at what I had learned. Food labels have their own language! For instance, there are numerous terms that can be used on a food label that are dairy products but you would never know. Whaaaaaat! Interesting. Or, know all of the foods that have hidden dairy in them? So, how do you verse yourself in the language of Food Labels? Second, know the names dairy hides behind on your product labels. 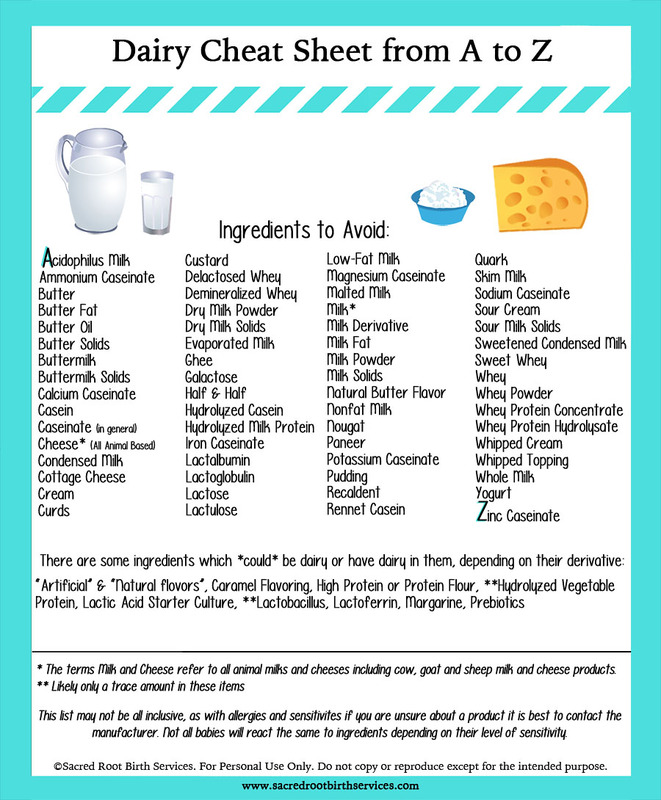 A blog called KidswithFoodAllergies.org posted this really great, easy to read, list of all the names dairy can hide behind. Click here for the full list. And third, memorize the products that contain hidden dairy in them. For example, did you know some peanut butter may contain milk solids. Or, non-kosher hot dogs and other processed meats? Yep, all could contain dairy in them. The more you know, the better you will be able to handle your lifestyle switch. Click here for a full list of potentially dairy filled products.